Contact San Antonio family law attorney James Meyrat to discuss your legal options regarding your divorce today at 210-733-6235. The first thing you need to know is whether or not your divorce will be a contested divorce or an uncontested divorce. Knowing this will help you know how much money this divorce will cost, how much emotional strength you and your children need to get through this difficult time, and how to preserve the assets and property of your marriage. Is my divorce uncontested or contested? In most circumstances you really don’t know whether you have a contested or uncontested divorce until you actually consult with lawyer. San Antonio family law attorney James Meyrat can help you evaluate your individual situation and the unique dynamics of your marriage, untangle all the issues that make your divorce seem complicated, and offer you a plan of action and strategy to deliver the best results for you. Uncontested divorce is when couples come to the table together usually under the guidance of one family law attorney. The divorce attorney creates a divorce agreement that meets the entire family’s immediate and long-term needs. Uncontested divorces are best suited for couples that have a small amount of property, can navigate their emotions, learn new tools to share child custody, and work together to find a fair financial settlement. An uncontested divorce can be a cost-effective method for couples that agree on the major aspects of their divorce, including division of marital assets and child custody and visitation arrangements. Contested divorces are often portrayed on television, with lawyers battling in court to get their client the biggest slice of the marital pie. In this type of divorce, each spouse hires an attorney who works on their client’s behalf to come up with a final settlement that covers the division of property and child custody issues. The attorneys go through a process of gathering and exchanging information, pulling in expert opinions, and working toward a settlement that both parties can agree to. If the attorneys cannot reach a settlement without involving the courts, a judge will decide how to divide the marital assets and dictate the terms of the child custody arrangement. In the majority of cases, divorces begin contested, but in 80% of cases the spouses come to an agreement before a jury trial during a process called mediation. It is the official policy of Texas courts to promote amicable and non-judicial settlements of issues regarding children and families. Upon written agreement of the spouses or the court’s own decision, the court may refer the divorce proceeding to mediation. The mediated settlement of the case is binding if it is signed by the spouses, any attorneys of the spouses, and provides that the agreement is not subject to revocation. A divorce in San Antonio is begun by the filing of a petition in the District Court of Bexar County. This is a short formal document which spells out what one desires from the divorce. Shortly after the petition is filed, it is normal legal procedure to establish temporary orders. Temporary orders are useful for getting spouses through the difficult period of the divorce process. Temporary orders typically cover child custody, child visitation, possession of the family home, periodic domestic obligations and bills to pay, and attorney fees. After the final decree of divorce is signed, the temporary orders have outworn their use and just simply disappear. The division of the marital estate is the first part. There are three estates, which exist when a couple divorces. The husband’s separate estate, the wife’s separate estate and the community estate. The community estate is the only one that gets divided. Separate estates are just that, separate. In Texas, property is not necessarily divided up 50/50. It’s divided in a just and right (or fair) manner. Almost anything you can think of can go into the idea of what is fair in the division of property and debts. Relative ages, relative health, the earning capacities of each spouse, the likely earning capacity of the future, the fault in the breakup of the marriage . . . the list goes on. Say, for instance, both spouses make about the same amount of money, they are about the same age and are both in good health. All things being equal, an equal property division is likely. But what if one spouse’s infidelity resulted in the demise of the marriage? In that circumstance, the spouse who did not cheat is more likely to get a greater percentage of the marital estate. That usually does not mean a 90/10 split, but it is not unrealistic to think toward a 55/45 or a 60/40 split. Child custody involves the legal parental rights that may be exercised by each parent. Texas law favors Joint Managing Conservatorship, or joint custody, which means that most, though not necessarily all, of the parental rights are shared jointly, like the right to make educational decisions, medical decisions or psychological decisions for the children. On the other hand, the Court may find it is in the child’s best interest for one parent to have Sole Managing Conservatorship. The parent with sole custody will have the exclusive right to make most of the major day-to-day decisions for the children and the other parent will only have the basic rights he or she needs to be able to visit with the children, like the right to take them to the emergency room if there is a medical emergency. The exclusive right to determine the primary residence of the child is be the most highly litigated issue in a divorce and child custody case. Most parents want to have their kids to stay at their home and receive child support. 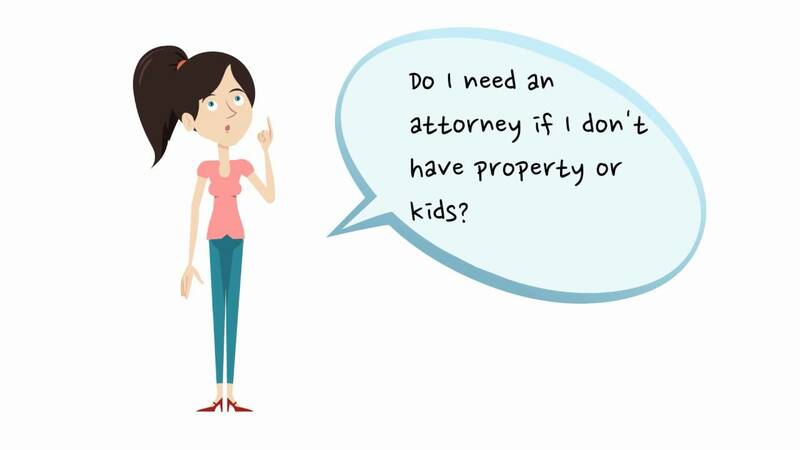 If parents cannot agree on this contentious issue, the Courts may order a family specialist to conduct a social study or appoint another lawyer to assist the court in deciding what is in the child best interest and which parent should have the right to determine the primary home of the children. Periods of possession (visitation) describes those times that the children will spend with each parent. Texas law encourages parents to create their own parenting plan with both parents having as much time with the children as possible. It all depends on the circumstances of the children and the parents. Texas Courts recommend the Texas Standard Possession Order (SPO) as guidance in putting together a visitation order that’s in the best interest of the children. But experienced child custody attorneys know that there is no one-size-fits-all parenting plan. Parents have the opportunity to deviate from the standard possession order and shape a unique parenting plan agreement that will work best for their family. These agreements may be reached during the divorce process, or a judge may be needed to make a final order. Child support goes hand-in-hand with child custody and visitation. Child support is usually paid by the visiting parent to the custodial parent (the parent who has the kids). The state has guidelines it uses to establish a formula for child support depending on the income of each parent, number of children and their special needs. The court may deviate from the guidelines when it finds special circumstances to do so. If the parties share possession equally, it is possible for no child support to be paid or for the resources of each parent to be compared so that one parent is paying the other a lesser amount of support than the guidelines would suggest.